One thing to bear in mind here, chaps. Only cads and bounders drink gin after dark. Gin under one button, tonic under another. Of course, these things have a way of escalating, then you need another button for vermouth, one for beer or cognac or rum or whiskey. maybe a tanker barge towed behind? Only problem is that it is needlessly complex, electric, etc. I can't seem to find a simple manual pump which would deliver a metered portion (75ml is the shot size on my boat) from a single container under the counter. Something like a hand galley pump, except with a metered stroke. You'll be running into laws in many countries that you'll be in violation of. Almost all have some regulations as far as taking alcohol in and even more regulations as far as unlabeled alcohol. Inside the EU, I think actually there is no problem. Even Sweden and Finland have pretty liberal limits on alcohol brought from another EU country for personal consumption -- 90 liters of wine (!) AND 110 liters (!) of beer AND 20 liters of vermouth or sherry AND 10 liters of strong drink per person in Finland, for example. I think if you leave the gin in the tax-paid bulk container there is no problem of any kind. I think it's less risky than bringing cases of duty-free booze from the Channel Islands or Helgoland, which is a very common method of booze-bunkering for Baltic sailors. The only non-EU country in the Baltic is Russia, and this is more complicated. The limit is 3 liters per person. So I guess you need to have drunk most of your stocks before you get that far, or leave your gin tank in Finland before you leave. I was nervous about this when we sailed last summer to Vyborg, in Russia. I offloaded our wine and booze stocks and stored them with a friendly Finnish marina office. In the event, Russian customs did not show the slightest interest in our booze stocks, but I guess I would not want to rely on that. Back in the 70s in the Marquesas they sold wine from a 55 gallon drum, bring your own take away jug, we used gallon jugs. Called it Algerian jungle juice. Metered, manual pumps? Doesn't West Marine sell those? If they can handle hardener, they'll likely handle alcohol. But not sure how potable they are. 2000 Beneteau 505 "Summer Boost"
As for tonic, that has been solved by SodaStream. I buy a dozen or so bottles of tonic syrup at a time. They are small (one pint, 500 ml), make 12 bottles of tonic (quart or liter size), and are the best tasting tonic I've ever sampled. The only other additional item needed is the gas canisters. They last about two months (that's about 25 bottles of tonic, I think, the gin is clearly affecting my measuring skills). I bought the whole shebang with 9 canisters at the closeout of a store a few years back. The gas refills are a major ripoff, but easily managed by purchasing a recharging manifold on the internet. Now, once a year, I take my empty gas bottles and the manifold to a bar, and borrow their CO2 tank for a few minutes to refill. Then I buy a beer to repay them for the cost of the refill gas. I could cruise for a year and have all the G&T we can drink. Also, if you are so inclined, the SodaStream cola is first-rate (Rum and Coke), the rootbeer reminds me why we have freezers (for the vanilla ice cream, of course), and the ginger ale syrup is REALLY ginger-flavored. I used to try to figure out how much "supplies" I would need. Isn't there some joke? "If you have ever considered installing a tank for liquor... you may have a problem"
AA is makes life a lot better. Have you considered the flammability of the alcohol you'll be storing in your tank in case of a leak? Perhaps some tests are needed? 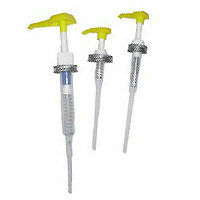 Very small tests, amounts hardly missed from your bottle? A bloody hot tip; thanks! I will order one straight away. Anyone know why carbonated drinks are so incredibly expensive in Sweden and Finland? Like triple the price in Germany. A can of Coke (or tonic) is like 2.50 euros.